GOLF CART comes with a summer rental (Memorial Day through Labor Day) BIKES AND WIRELESS INTERNET!! (save $$), BEAUTIFUL WATER, MARSH AND SUNSET VIEWS and located near the marina; very clean, nicely furnished 2 bedroom/2.5 bath 3-level row house; you are within minutes of the beach or Ocean Creek Golf Course by golf cart or bicycle and within a few feet of the Marina, Marina pool, and Bonita Boathouse restaurant; FREE use of 4 adult and 2 kid bicycles. Cable TV in master bedroom and den, Full Kitchen, Microwave, Dishwasher, Cooking Utensils, Linens provided, Washer & Dryer, jacuzzi in master bedroom and gas grill. Please NO Pets and NO smoking. No Teenagers unless accompanied by adults please!! Fripp Island is a private, gated island located at the terminus of US 21 South approximately 30 minutes from the historic town of Beaufort, SC. The minute you arrive at this coastal village, you will be captivated by the wildlife, beauty of the ocean and waterways, and the unspoiled surroundings. Sites that will prove Fripp Island unique to any place you have ever visited are deer along the natural areas, beautiful marsh views that continue for miles, dolphin and birds playing in the waterways and ocean, crabs by the crabbing docks, and the occasional alligator on the bank of a pond on one of the two golf courses on the island, one being designed by Davis Love III. In addition, tennis is available under moss-dripped live oaks on both hard and soft courts. This was our 1st vacation in quite some time, Millie was awesome, so responsive and what a great place!! Unfortunately our trip was cut short due to the hurricane but the time we did spend was just what we needed. Fripp is a beautiful destination and we loved this place. A definite must do again!! We have been vacationing at Fripp for years and normally stay in the middle of the island, but I always loved this type of house. This house is beautiful, stunning marsh views and nice and quiet since it's off the main drag. The owner was great to work with, the decor was pretty and the bathrooms were huge! You will not be disappointed staying here! This is the second time we have stayed at this condo. Great location, very clean and the owner is great to work with. The view from the master bedroom is beautiful....I would high recommend the condo. Just had a "girl's weekend" at Fripp! We enjoyed the beautiful Marsh view and being so close to the best beach on Fripp! We also enjoyed the free bikes and took many bike rides. The Marina is such a fun, vibrant area. We ate at the Boathouse and enjoyed a cruise around the island on Friday night - saw dolphins, stone crabs and many birds! 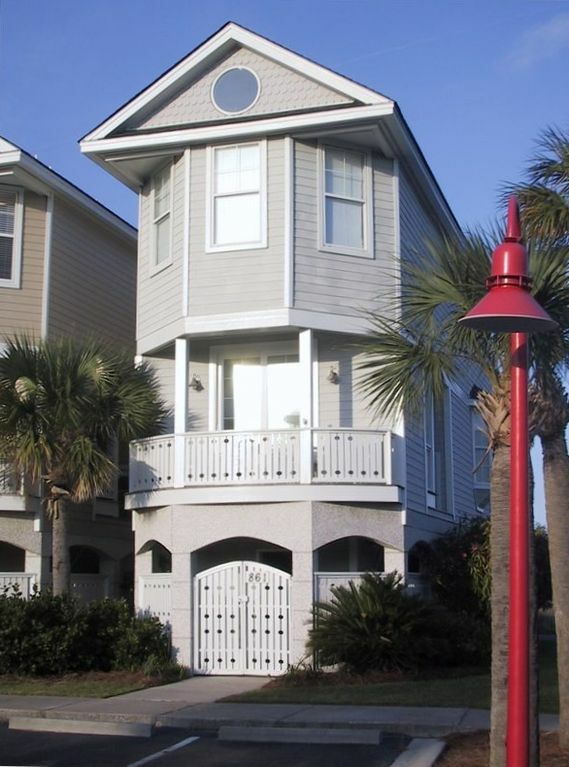 Fripp Island promotes an active life style that includes biking, walking, swimmimg and golf. Our accommodations were bright and more than adequate. The owner was friendly and quick to respond to our questions or concerns. She was very supportive in helping us to optimize our vacation. The inclusion of 6 bikes with the property allowed our guests to ride and explore with us. Great holiday experiences!